Sprint to launch BlackBerry Tour July 20 | BlackBerry Blast! 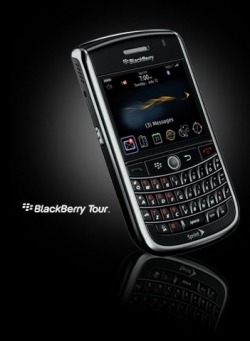 Although not officially acknowledged by Sprint, rumor has it that the BlackBerry Tour 9630 will be available from Sprint on July 20. Until now the only word we've heard is that the Tour would be released "later this summer." The July 20 date is the first hard date we've been given. Verizon is set to launch the BlackBerry Tour on July 12. By the end of July all you BlackBerry fans should be able to grab the latest CDMA offering, unless you've already grabbed a Palm Pre first.